Industrial – B-D Construction, Inc. The construction specialized on integrating the owner’s existing crane systems, equipment foundations, equipment clearances, and how these affected the building design loads. This ensured that all aspects of the project were considered for a successful final product and optimal flow of the owner’s assembly of materials. The 2007 building had to be enhanced structurally to accommodate the snow load applied to increase hook heights in the 2013 project. The bays of the 2013 addition were designed for (2) 7.5 ton hoists on bridge cranes to be in the same bay at one time. Runway to runway span was 75′. 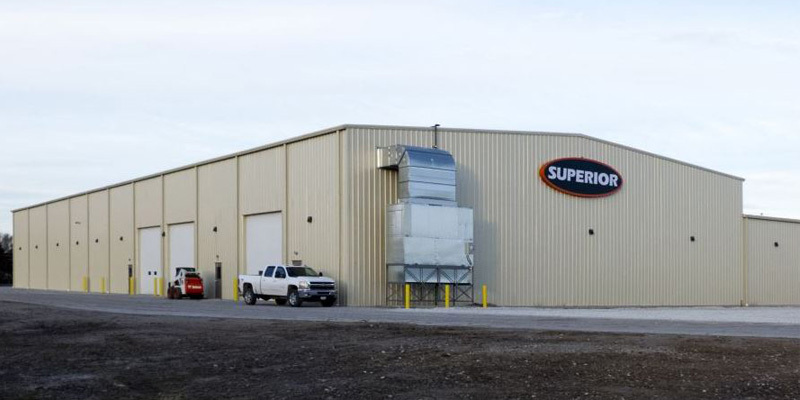 The span of the building in the 2013 project was also turned 90 degrees to accommodate a more cost effective and attractive addition in the future. The construction specialized on integrating the owner’s existing crane systems, equipment foundations, equipment clearances, and how these affected the building design loads. 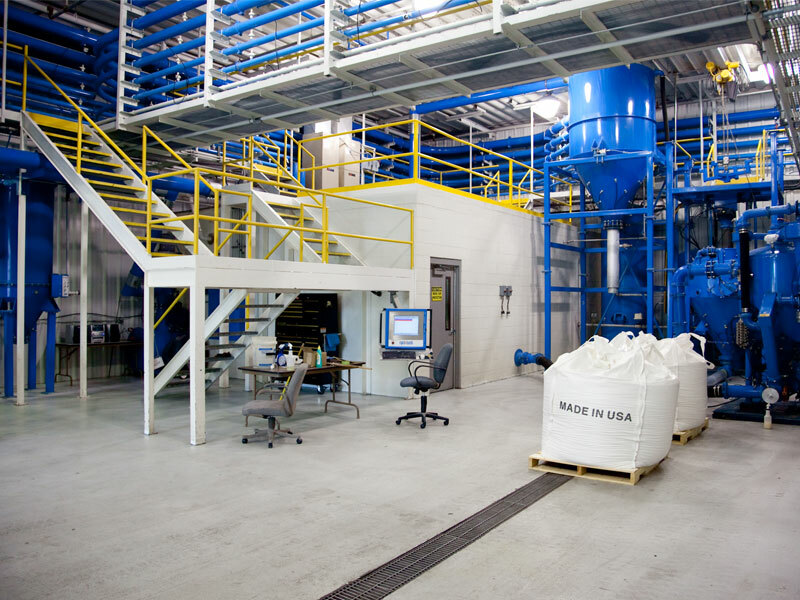 This ensured that all aspects of the project were considered for a successful final product and optimal flow of the owners’ assembly of materials. In 2014 one of the existing buildings was upgraded to carry additional cranes it was not originally designed for. This included adding weight to the existing steel rafters and increasing the bearing capacity of the foundations to carry the new loads. Pictured is an aerial view of the plant that we built from the ground up as the general contractor for the original owner, Katana Wind Towers. 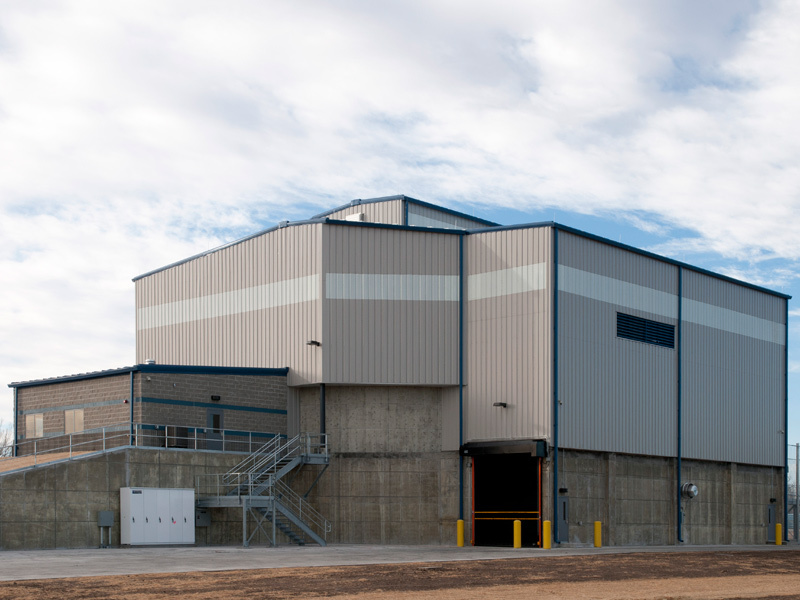 Transfer Station Building with administration offices and scale house involving: general site preparation, drainage, grading, erosion control; concrete pavement, construction of watermain, water services and sanitary sewer lines and appurtenances; retaining wall construction; construction /installation of truck scales; structural, architectural, mechanical, heating, ventilating, air conditioning, electrical, and miscellaneous related work; site lighting and miscellaneous electrical work; and other associated work and services. 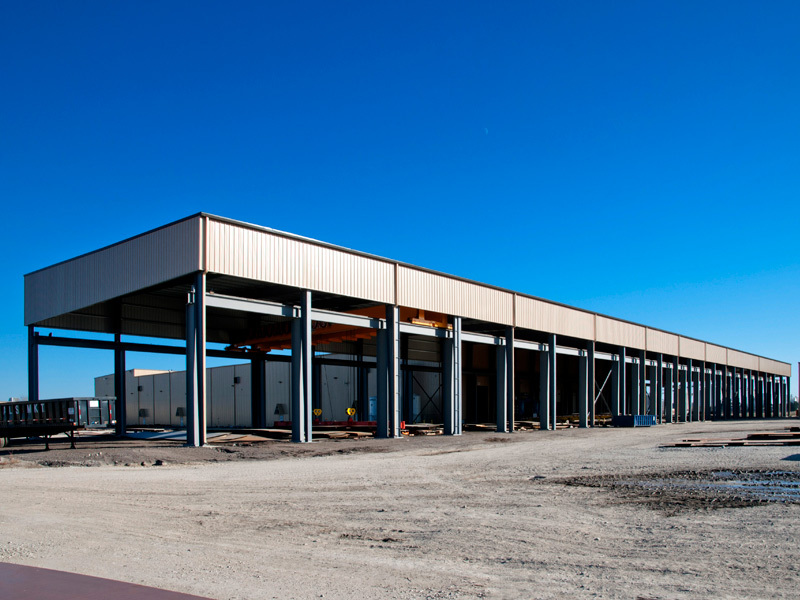 We have partnered with Blattner Energy on over a dozen operations and maintenance buildings throughout the central United States in Texas, Oklahoma, Kansas, Colorado, Nebraska and North Dakota. 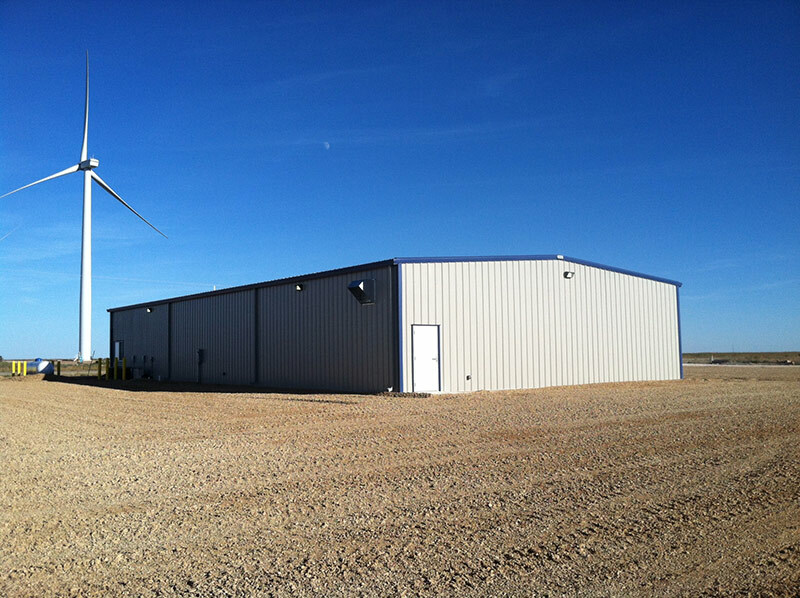 The operation and maintenance buildings are the central command centers for wind farms. Each facility has office space for over a dozen technicians as well as garage space to perform maintenance.